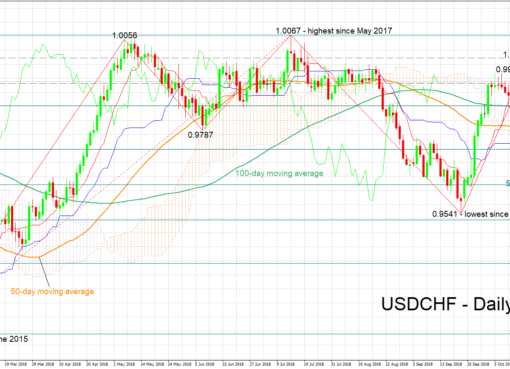 USD/CHF looking bearish but supported at 50% Fibonacci level. 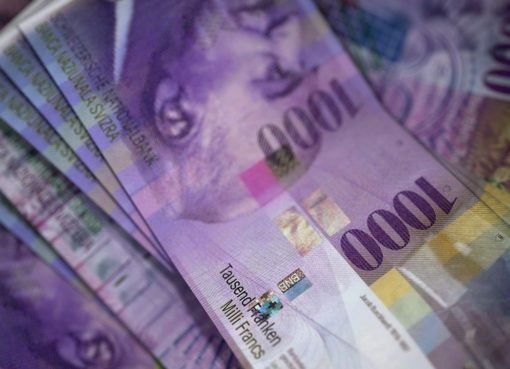 USD/CHF has retreated significantly from the 20-month peak of 1.0127 set on November 13, retracing almost 50% of its September to November gains. 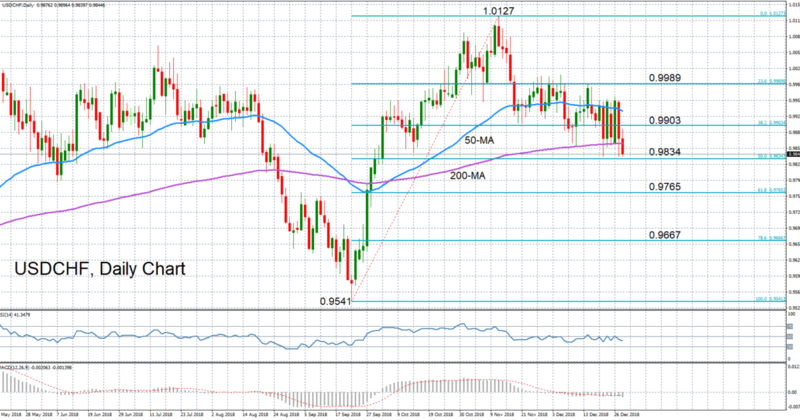 The slide has been halted for the moment by the 50% Fibonacci retracement level at 0.9834. Momentum indicators point to further downside risks but are not yet overly bearish. The RSI has fallen further below the 50-neutral level, but the slope has become shallower over the past day, suggesting further losses are likely to be limited in the near term. The MACD, meanwhile, has crossed below the red signal line but remains not too far from the zero level. Should the pair break below the 50% Fibonacci, this would deepen the bearish risks and open the way for the 61.8% Fibonacci at 0.9765. 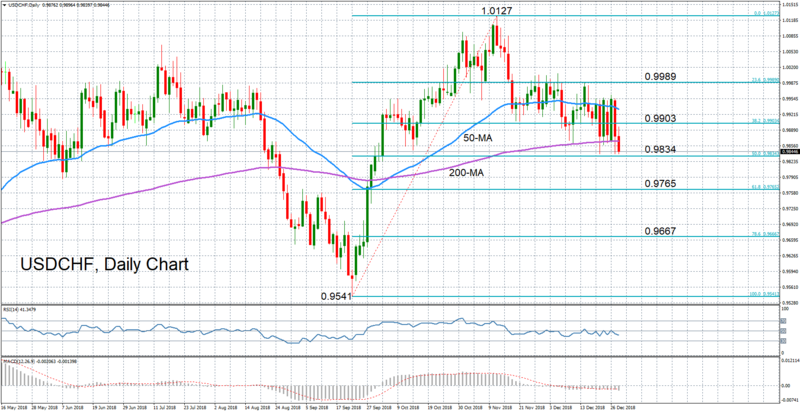 Failure to hold above this support as well would bring the 78.6% Fibonacci into range at 0.9667. 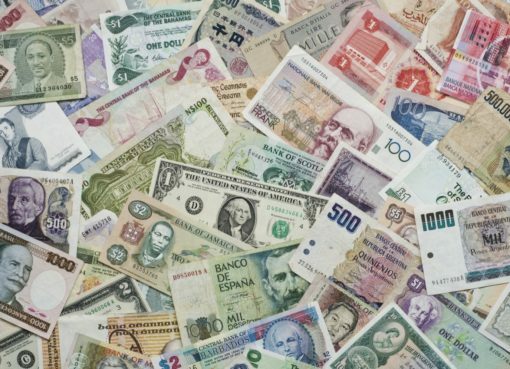 However, if the key support around 0.9834 is sustained, USD/CHF could post an upside reversal and recover towards the 0.99 handle, which is close to the 38.2% Fibonacci level. 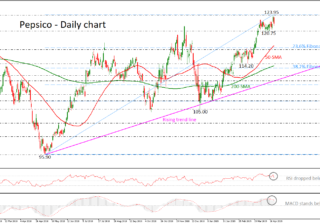 Clearing this hurdle would strengthen any positive momentum and prices could next target the 23.6% Fibonacci at 0.9989. In the medium-term, the outlook should remain neutral as long as price action stays close to the 50-day moving average. Further losses in the coming days would threaten to shift the neutral picture to a bearish one.